The first mani of the year. Lately I’ve been wearing only special nail polishes and this one for sure is special. 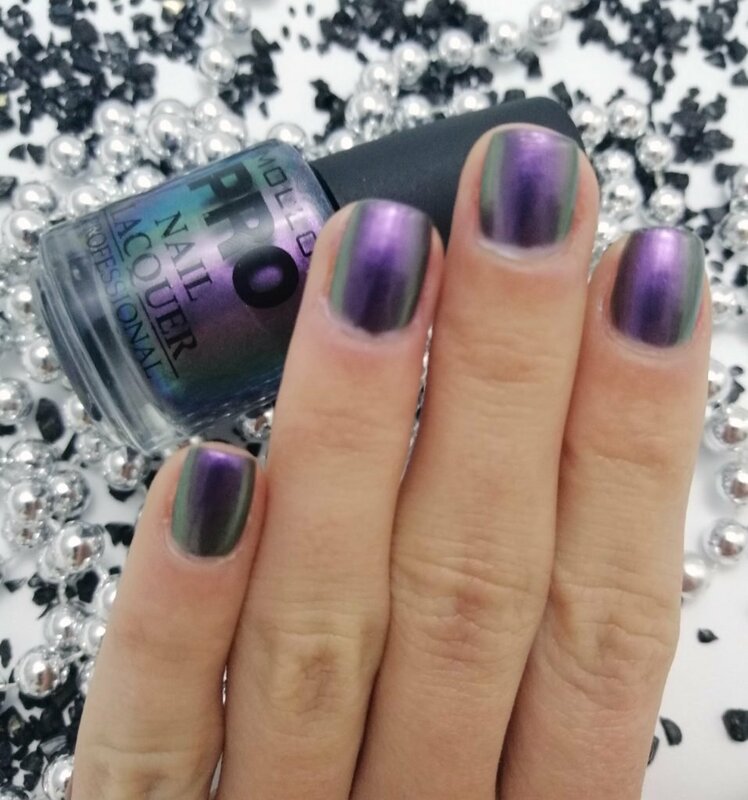 I can probably tell you all duochrome nail polishes from drugstore brands, so I am beyond thrilled to have this beauty! 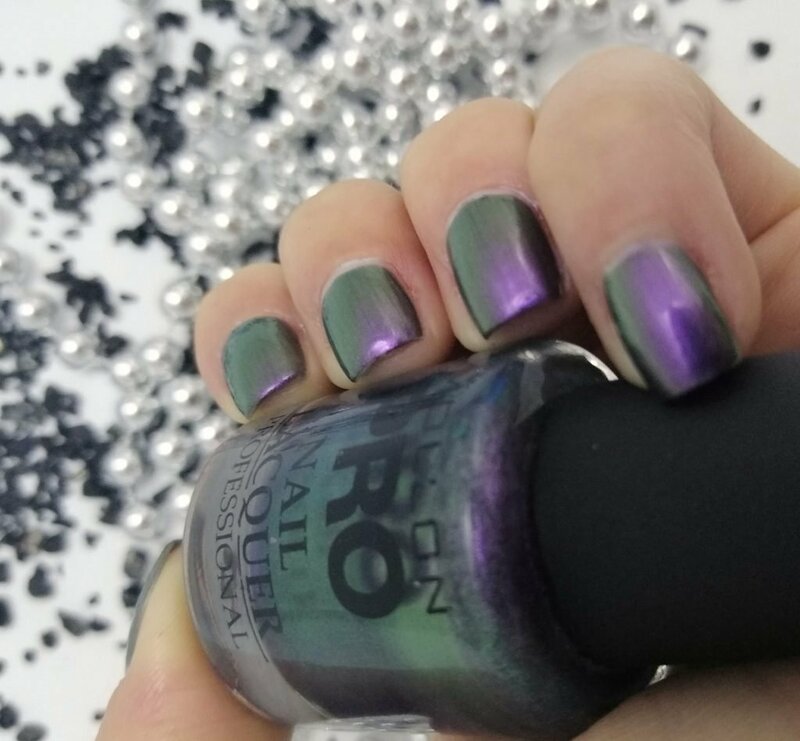 Duochrome beauty with gray base that shifts from purple to green. 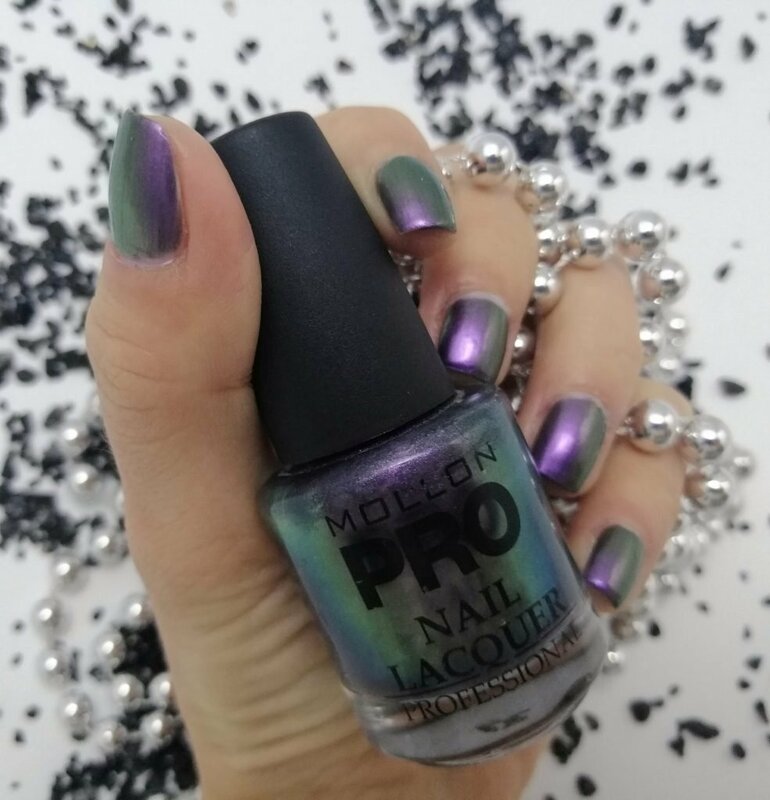 Foil with a few brush strokes, but if you use the right top coat, it looks totally gorgeous! The application is a dream! 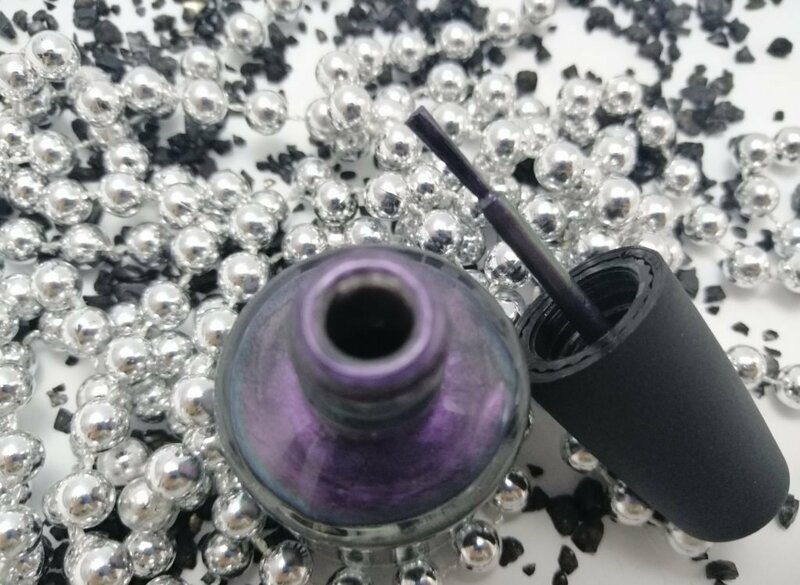 No problems at all, you just swipe with the brush and the colour is here. A bit of caution is advised, so you don’t end up with brush strokes, but more or less, the colour evens itself out on its own. The brush is on the thin side, but luckily it is still wide enough, so it is easy to work with. A little dissapointment jere. I wish it’d dry quicker. Well, don’t get me wrong, it dries quickly, but it isn’t completely dry. If you polish your nails in the evening, you can get sheet marks in the mornings. But if you have half an hour time where you don’t need to use your hands, the situation is solved. 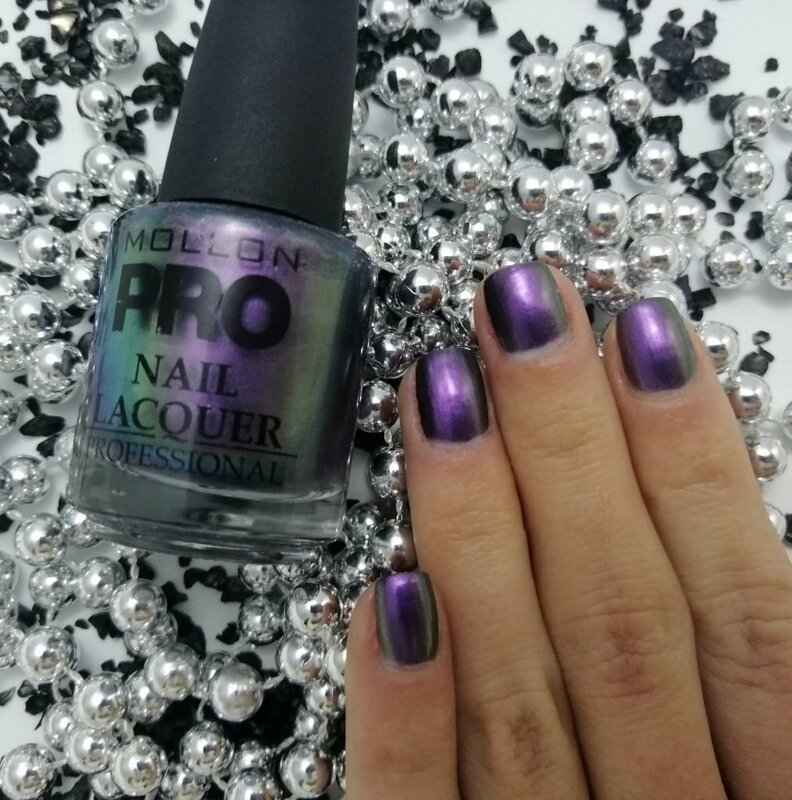 A nail polish that has a certain place in my collection for sure. 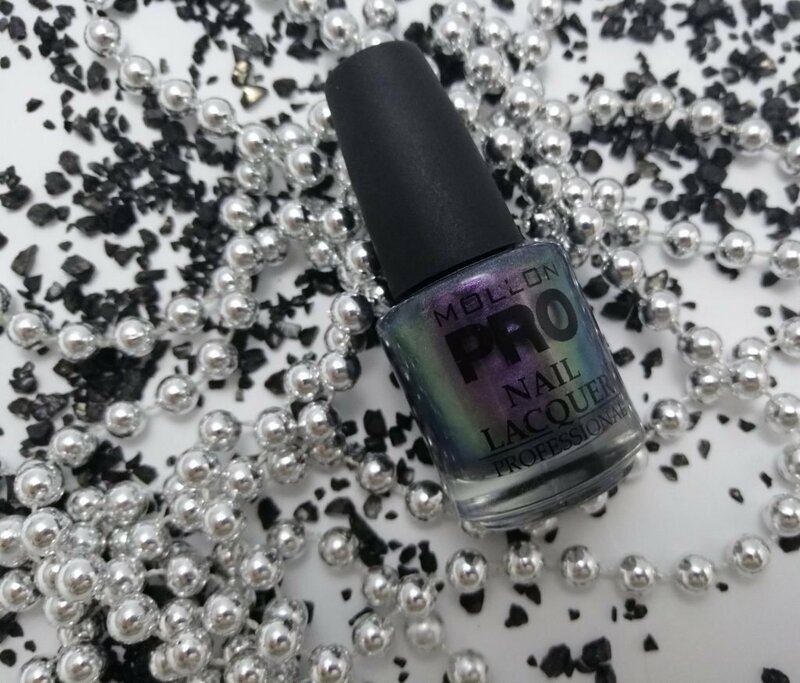 A beauty with no match and a special colour I recommend to each nail polish lover. For collectors this one is a must! P.S. : If you love duochrome nail polishes, but prefer blue tones, I recommend 202 Blue Dream, do you want me to show you that one too?